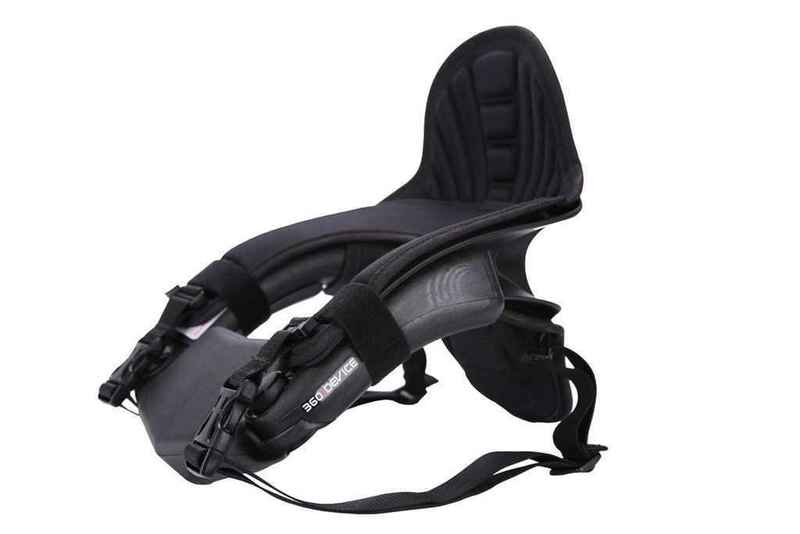 Thoughts on Neck Braces for Karting? So I was just wondering what different opinions on neck collars were. I know in some areas people don’t even use neck braces but out here in the Midwest they’re mandatory in every series I’ve run. Do you agree with using them? If so, what brands do you like? Or, why do you not use them? I absolutely agree in using them. I use a 360. I like it a lot. It takes a few seconds to buckle up, and does stand out a good bit since its on the exterior of the suit with all the straps. That would be MY only con. I’ve had a friend try it and he dislikes not being able to turn his head all the way around to look behind.Coming from using HANS devices all the time, it does not feel restrictive. To the contrary, I’m more comfortable with it on. And I guess I spend all the time chasing karts in front of me than worrying about who’s behind. Hope that helps. I’m one of those elitists who thinks they look silly, are uncomfortable, and prefer not to wear one whenever possible. I used the EVS brace the first couple years I was racing karts, but strained something in my neck when I stuck the landing in this incident. I ended up getting the Leatt Kart brace and feel like it stays in place better and is more resistant to the snapping motion. Haven’t gotten in any incidents like the one in the clip, but no complaint about the comfort or the ability to move my head around looking down the track. I can’t do the old style foam horse collar though. I’m of the belief that unless I’ve seen the independent test results to know it actually helps, and doesn’t in fact hurt. Then I’m not going to use one. Leatt have some testing on their website, but is it independent, no. The HANS device went through years of independent testing before it was approved by the FIA, there’s a good reason for that. It’s always been mandatory for our series in the PNW, and there hasn’t been any sign that wearing one does harm, so I’ve been impartial either way on it. If you don’t wear a neck brace or support, well…it just simply isn’t as safe. A foam donut is pretty much useless but better than nothing. It is a fashion statement to go without one though, so I guess I get that. The 360 device does look pretty interfering, but probably is the most useful for some kinds of accidents. 11/10 recommend wearing a neck protector of some sort. They work, but sure, since there is not uniform testing, to varying degrees. I might not be a trauma doc, but I’m a peds RN, so from my standpoint, the Leatt is the best design. Of the others that I’ve investigated, the Atlas and the EVS flex too much, which can be detrimental to their performance (Atlas disagrees with this and makes their braces purposefully flex) and the 360 doesn’t seem like it would prevent hyperflexion to the same degree as the Leatt. The foam collar will not do anything for you. For me its not a fashion statement. I wouldn’t wear an uncertified/homologated helmet or racesuit either. Without those they have no requirements whatsoever, both in testing of an individual systems and quality/consistency across batches. There is a constant assumption that because it is an addition it is safer, that just isn’t the case. That’s the sort of mentality that existed before crumple zones with car safety. Like the assumption an SUV is safer then a sedan, in general, test crashes show that SUVs are no safer than ordinary sedans. They’re more likely to roll over, especially in a single-vehicle accident where a truck trips over a guardrail or flips during a fast turn. And 4 wheel drive, it helps improve traction in snow or mud but make zero difference to braking or turning. From the two posts above, it’s pretty clear that the usefulness of wearing a neck brace or protector is controversial to some. Your points regarding sweeping certifications are valid for sure, as are concerns about quality control, which has been a site of controversy for the Leatt specifically. However, while I agree that independent testing needs to be something companies are held to in the future, to Davin’s point there is little evidence that these devices actively harm more than help. Hopefully independent testing will be implemented shortly. Until then, I plan to wear one if I race, and I’d recommend others seriously consider it. The fact that there is a variety of designs and approaches to the problem of neck-related injuries in karting and motocross shows me that people are attempting to address the problem. They may not always get it right, but there are attempts being made. Of the devices on the market, the Armadillo and Leatt seem to be the most thorough. Regardless, if you are of an age where the decisions is not made for you, then the decision is of course up to each competitor, as evidenced by the two differing opinions above. The problem really lies that there is zero evidence (apart from anecdotal) as to whether it is better or worse. That means there is as much a chance it will make it worse as better. Those odds do not appeal to me. The CIK-FIA are the only organisation who would bother to test these, they’ve been around a while and they haven’t decided testing is needed. This topic has done the rounds on many a message board. The foam next braces are generally deemed a hazard as they prevent the neck from flexing anywhere but the top of the neck. In 2013, at the Watkins Lecture at the Autosport Show, Andy Mellor, the Technical Advisor for the FIA Safety Institute said that regarding HANS type devices for karting that the jury is still out on these and they are struggling to get answers as to whether they actually do aid safety or not and are currently devising a new test to help with a decision, which they still haven’t. Anyway as with anything that isn’t accredited I believe it should be down to choice given the information available. I’m not going to sit here and tell you what to do, but I do have a problem with a sanctioning body telling me I have to do it with zero evidence. Fortunately that only happened once (in France). Agreement has definitely been that the foam pieces are, completely and totally, crap. Your concerns are absolutely spot on though. Without any testing to prove that they are not harming, I wouldn’t feel safe either. 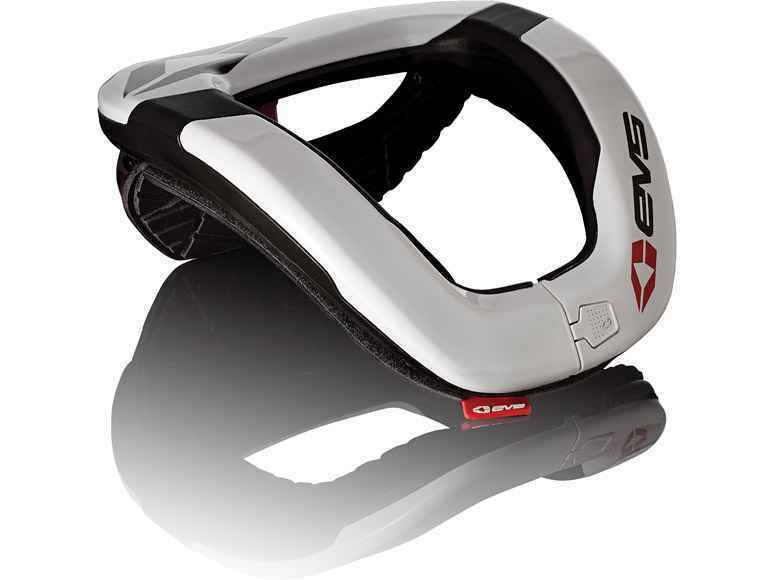 I know for a fact that the EVS is designed not to reduce neck injuries but to reduce collarbone breakage in motocross, as that’s where it’s actual application is from. I’d like to see true tests on neck braces effectiveness, as that’s why I brought it up, but as of right now I am required to wear it an all series I am competing in this year. Speaking of CIK-FIA, I’ve been wondering for a while why America has always separated themselves from the biggest karting organization in the world? I assume it’s always been like this, where Europe has the CIK-FIA and we have WKA/IKF/whatever else there is, or do we only see the CIK competitions as they’re what is international? Most countries in Europe have an ASN, a national organisation that organises motorsport and represents the FIA/CIK. The generally pass down regulations and provide licensing to FIA/CIK requirements. For most countries the easiest way is to just say to FIA/CIK regulations. The USA does its own thing because it does that for everything (vehicle emissions, gun laws, maternity leave etc etc) which it is entitled to do. Karting is a bit of an oddball because you don’t really have an ASN looking after all karting. Each series does its own thing (and in most cases copies the CIK/FIA rulebook). I think WKA looks after international licensing though. Interesting. I feel like this setup at least partially restricts the drivers in America from performing at the higher level competitions. You see lots of European kids but rarely an American. The closest I can think of is Gary Carlton but that’s one out of how many drivers? I remember when I first started Karting I never wore a neck brace and I would keep straining my neck and pulling muscles. One day My grandpa got me the Valhalla 360 and I’ve worn it every time Karting since. Haven’t injured my neck in years. Well remember its very expensive to go race in Europe if only because you have to add flights. We may be going off topic here but in the last 15 years you’ve had Carlton, Ron White, Logan Sargeant (world champion), Jake Craig, Jake Rosenweig, juan manual correa, David Jurca and some Canadians as well. And that doesn’t include the guys and gals who have done the rotax, rok or iame world finals. Sure the rules don’t help but i suspect it is cost that is the driving factor. Yeah, I figure America tends to try and do things for cheaper than the rest of the world, as evidenced by the classes that gain popularity here. It is off topic a bit but even of the guys you mentioned I personally had only heard of Carlton, Craig, and Sargeant. Admittedly I haven’t been in the industry for nearly as long as you so you definitely know more, and I always enjoy talking with you because of that, but I wish we would publicize America’s drivers in international competition more. My thoughts were on just the OK or KZ classes that were the world’s “premier classes.” Cost is definitely a major factor, but the rules would help us get on the same level of drivers for sure. Instead, we just keep to ourselves and always love to be different. I would love to see America get it’s representation in better on the European and world stages if possible. Well OK is barely run anywhere in its pure form. Its not like the old days when we had grids of ICA at club races. In some countries they run the academy format which is basically all OTK (Exprit with Vortex OK engine). KZ is somewhat blocked here by stock honda but it can get expensive. In Europe and the UK it is mainly Rotax and IAME with spatterings of ROK here and there and some country only classes like TKM. Some of the drivers I mentioned are from years ago so don’t worry about it. These days Ron White has his own kart team and David Jurca is involved with Italian Motors. Juan Manuel Correa I think is actually Colombian but races under a US license. I admit I sometimes leave my neck collar in the truck and don’t often wear it. Perhaps I should try to find one that’s a bit more comfortable and give it another go.